Spin through the LEGO® NINJAGO® world with this fascinating visual guide. Discover NINJAGO City with Lloyd, Kai, Cole, Jay and Nya and meet their dragons and foes, including the Vermillion and Sons of Garmadon. Explore the amazing sets, vehicles, mechs and weapons. Look around the S.O.G. headquarters, examine the awesome Ninja Nightcrawler and Destiny's Bounty, and learn all about the art of Spinjitzu. Discover how the awesome LEGO NINJAGO sets and minifigures are created in the Expanding Worlds chapter, which features concept art and an interview with the LEGO NINJAGO design team. With the LEGO NINJAGO: Visual Dictionary, you will find out everything there is to know about the LEGO NINJAGO world. 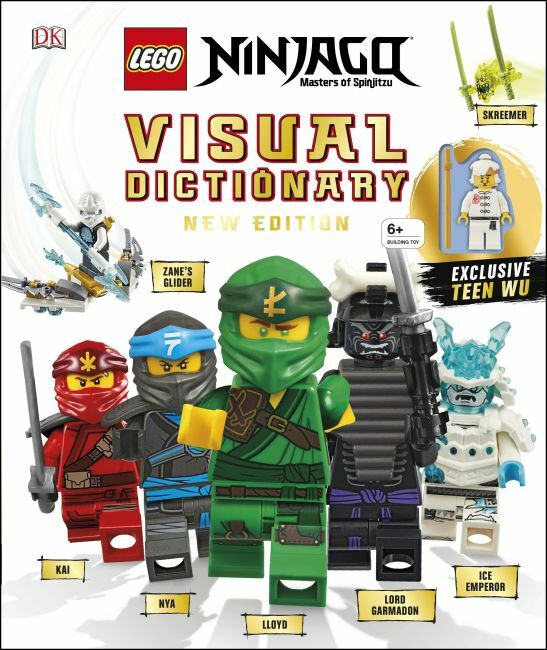 The book comes with an exclusive LEGO NINJAGO minifigure!